Shaky videos have always been a nuisance of the modern technological era. Such videos are not only irritating, but to fix it, you have to shell out a lot of money making the whole proposal expensive, bulky and not practical. But, of late, DJI one of the pioneering companies have introduced a solution to this problem and it is called DJI OSMO+. This is more than a camera, it’s an idea conceived by the team of OSMO to provide creative freedom for its customers. This is an all-in-one camcorder designed for an action videographer, video bloggers, and wedding videographer or even for a parent who wants to record a few family moments. 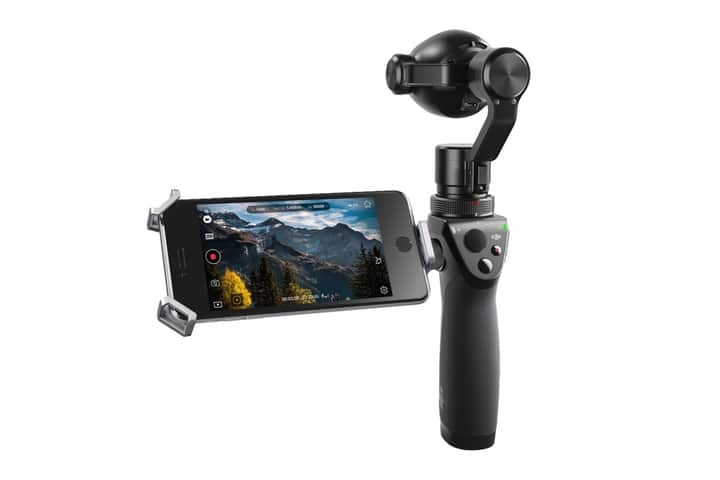 The DJI OSMO is a video and photo capturing device. It couples a stabilizing gimbal and camera into one piece that fits very easily in the palm of your hand. This is a one of a kind device present in the market today. With this device there are endless amount of possibilities and creativity. You can take endless amount of pictures, videos with long exposures, panoramas and hyperlapses without the use of a tripod, live video and many more without a stabilizer. Users can easily connect their phone to the OSMO through the DJI Go app for complete control of the device. The user interface is similar to the other DJI controls like the Phantom series. There are a few differences, but one of the major standout features is the zoom capability. The OSMO comes with a fixed lens camera while the camera can zoom in the OSMO+. The focal length is 22mm to 77mm. The OSMO+ also comes with an acting aperture where in you can separate the subject from the foreground and background. The camera in the OSMO+ is smooth and stable. The ease and smoothness of the camera is great. Ways you can move the OSMO camera. Simple hold it and it will move with you. The camera will stable as you walk. It pans smoothly. Simply move the camera and it will simply pan as you turn your wrist. There is a joystick that can be used in a similar way like the ones found on PS4 or XBOX controller. There is a trigger in the front that renders a few different commands, like hold trigger, which means the gimbal will lock in place, Double-tap, which means the gimbal will center in the forward direction and triple tap and the gimbal will spin back to you for a selfie mode. The phones user interface can be tapped to tell the gimbal where to go. Live video is a great feature to have in the OSMO. You can read the comments through the DJI Go app to engage with your viewers. While you are live, you can record simultaneously. It offers the YouTube live and Facebook live capabilities. While there are many physical controls, adjusting the gimbal settings is done entirely in-app; choosing the gimbal mode and re-centering the camera are done inside the gimbal menu of the app. The camera menu sets different controls for the camera, which includes the manual exposure option and quality of the video. Previewing of the video is also done in-app since there is no screen for the camera. The camera has a mix of Smartphone and physical controls that is decent, which makes it easy to operate the camera. Despite, the various advanced options in the OSMO+, the camera overall is pretty light weight. The location of the controls and the grip is comfortable and easy to use. The OSMO+ gimbal creates smooth footage without being grounded by a tripod. The footage is smooth using the normal settings, but with a slight up and down movement to match your steps. Even the footage taken on a boat with the OSMO was smooth. The joystick to control the orientation of the camera is also fast and the effect can be seen more while recording. A less sensitive joystick would have been preferred. The DJI OSMO+ comes with the Zenmuse X3, DJI’s first camera to include optical zoom. For this price point, the video quality is excellent. The gimbal keeps the shots smooth, the colors accurate and takes sharp shots. The 4K video at 30fps or the 1080p at 60fps is available. Both the MOV formats and MP4 formats are available. The video quality is nice, but that can’t be said about long shoots. In 4k the clips are 8 to 9 minutes long, but in HD the gimbal can record longer. The shots are limited to less than 20 minutes. The camera is designed to live on a drone with 20 minute battery life. It is not suitable to record concerts or a soccer match. Audio is lower than average. The sounds are muted and the distant ones are difficult to pick. The camera includes a number of advanced controls. There are manual exposure settings. The camera can use the gimbal to take panorama all the way out to 360 degree. The photos unfortunately are stored individually on the MicroSD card and require manual stitching. Time lapse and selfie controls are also present. Users need to know that this camera is not suitable for long shoots. The OSMO eats batteries, so if you are taking it for a purpose or for a travel, then make sure you carry extra batteries with you. If you are looking for a camera that is easy to use, compact while travelling and an all-in-one device for capturing content, then this camera is for you. 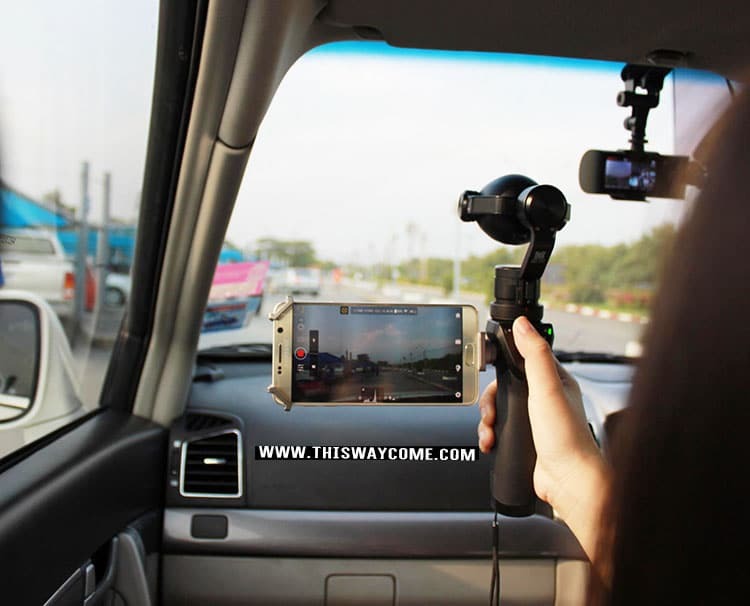 This device is great while travelling, so you don’t have to move around with a lot of equipment. You don’t have to be a professional videographer to learn and use this device. For the price tag, this camera does its job very well. 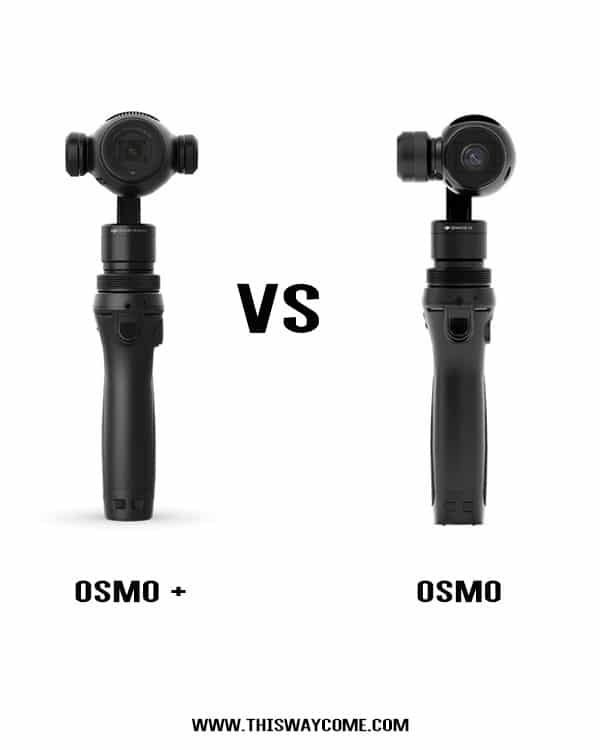 The OSMO+ does have some disadvantages and that includes connectivity issues, which is easy to fix, but a sore point. Since it was designed originally to mount on drones, the camera is not suitable for long shoots, but great for short clips. 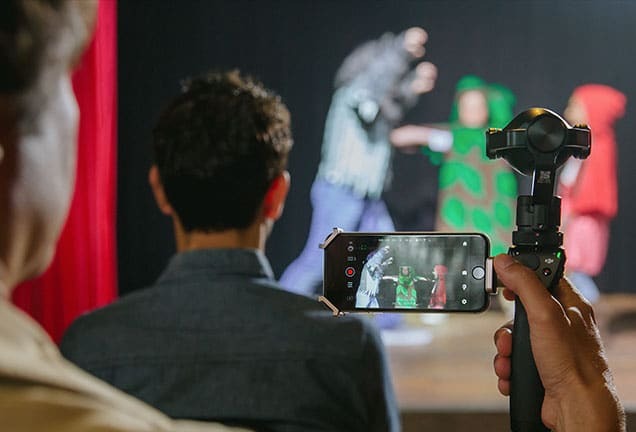 The DJI OSMO+ is a great camera to capture excellent videos without any shakes.